For a lot of lipstick enthusiasts feeding their addiction can be a task. Quite a few women suffer from either lipstick allergies or lipstick that irritates their sensitive skin. Finding a lipstick that is hypoallergenic is fairly easy, however, finding one that also does not irritate sensitive skin is a bit of a chore. Below you will find common irritants to lips and some recommendations for lipsticks you can try. However, the best way to find a lipstick for you is to try them and try to narrow out the ingredients that are hurting you. Why Does Lipstick Irritate My Lips? Most of the time lipstick that irritates lips is from and undiagnosed lipstick allergy. There are several common allergens that are used in lipstick production. The most common allergen is Carmine, which is made from ground up beetle shells. Carmine is used in most lipsticks. However, some companies use fish, shellfish, or other seafood derivatives in their lipstick. So if you have a shellfish allergy, that can often be the cause. Try to find a hypoallergenic lipstick or one that is naturally made as opposed to those made from animal byproducts. Though there are some cases in which people are allergic to the natural lipsticks they think will not irritate their lips. An allergy to beeswax or coconut oil is especially tricky. In those cases, you may want to trade your natural lipstick in for something more chemically based. As it turns out, sometimes natural is not always best, so keep that in mind. If you suffer from an allergy, then you will most commonly experience swelling in the lips. Itching, redness, or in rare cases, blackness of the lips can occur. Blisters, boils, and anaphylaxis can also occur in bad cases. However, if you do not have an allergy and your lips still become irritated it may still be an ingredient in the lipstick. Some lipsticks have essential oils in their product that can irritate fussy skins. The best way of finding a brand that works for you is taking suggestions from others (like this article!) and using the process of elimination. If you notice a common ingredient in the lipsticks that are hurting your lips, try to find a lipstick without it. It takes time, to be sure, but eventually you will find your brand. 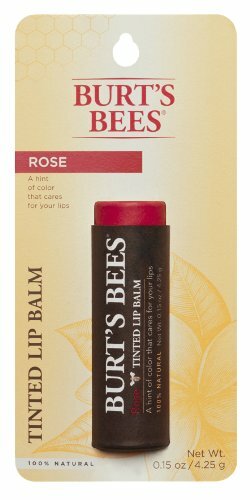 Burts Bees is a popular go to option for women who's lips get irritated by normal lip balm. Though they do make a lipstick, it is just essentially tinted lip balm. Burts Bees tinted lip balm is 100% all natural lip balm. However it does contain a few essential oils, which can irritate skin if you are sensitve to them. These oils include castor seed oil, coconut oil, sunflower oil, and soybean oil. This product, as you would expect from the name, also contains beeswax. Some people prefer all natural lipstick that is not made out of harsh chemicals only to find out later that it is one of those natural ingredients that irritate them. So this is a handy way to test that. Bet you did not know Bare Minerals made a lipstick, did you? Well they do. All the nourishing things that their foundation can do for sensitive skin, the lipstick can do for sensitive lips. This has quite a few natural minerals in it, though the only downside is that it does contain Carmine, which as we discussed, is a potential irritant. However, if that is not what is irritating your skin, this is a very viable option. A lot of people are more sensitive to the chemical lanolin than they are carmine, so it is worth a test. Though the price may be a bit steep, I can personally attest that this makes your lips look amazing. Just like how their foundation makes your skin look amazing. Bare Minerals is like the godsend of the make up world. VMV Hypoallergenics Velvet Matte Lipstick 0.14 oz. VMV boasts a whole line of hypoallergenic make ups. 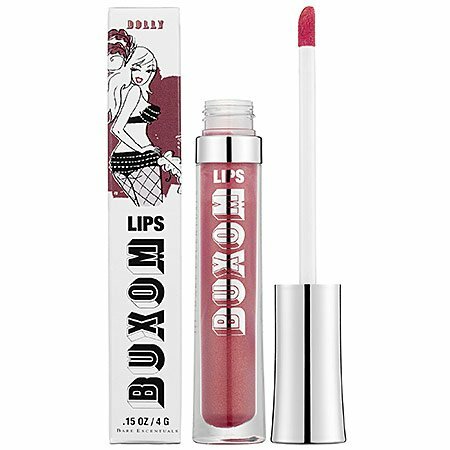 Their lipstick provides full coverage and guarentees and a smooth creamy lipstick that does not dry or darken as time goes on. Their lipstick is infused with antioxidants from the rich green tea they infused it with. The lipstick, however, does contain coconut oils which give the lips a moisturized texture. On the brightside, other than that it is chemical free and free of other irritants. 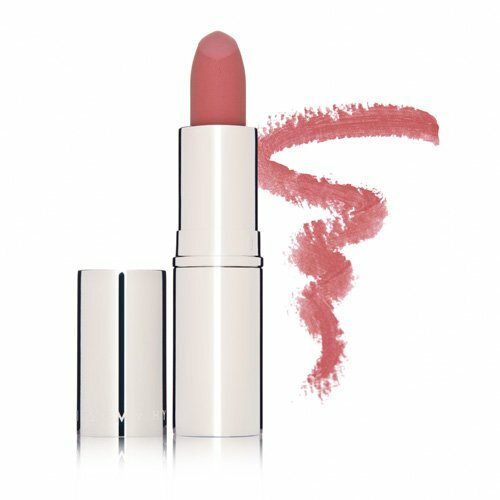 This is an especially good lipstick if you are allergic to beeswax, as most organic and natural lipsticks contain beeswax. You would not think that a big brand name of lipstick would end up on this list, eh? 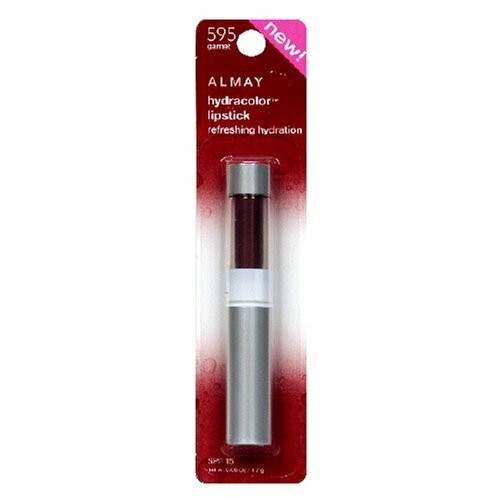 Well, Almay's Hydrocolor line is completely hypoallergenic. It is free from popular irritants like carmine and lanolin. It is also free from natural irritants like coconut oil and beeswax. So how do they make a lipstick that is free from both? Sadly, chemicals. Lots of strange chemicals that are foriegn to my knowledge. However, if you find yourself allergic to most lipsticks, it may be a good idea to give this a try. Especially if you are allergic to natural ingrdients. Most lipsticks contain natural ingredients and other things like lanolin that will irritate your lips. If you are allergic to both, finding a lipstick will be nigh impossible. Except this one. I have not found any evidence that any of these chemicls have any ill effects.